As the name suggests, it is the perforation of the auricle, the outer portion of the ear between the earlobe and helix. Since the auricle is a perfect spot for flaunting fancy rings, auricle piercing has become the newest fashion trend among the young crowd. 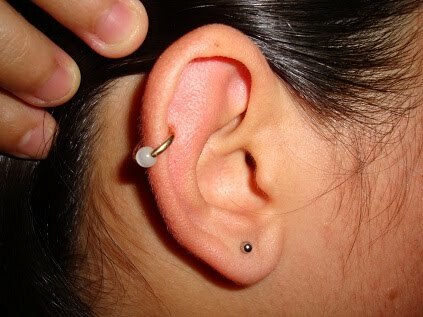 Choose a licensed piercing parlor if you have made up your mind to get your auricle pierced. The desired piercing spot is cleaned thoroughly and marked with a pen before going forward with the procedure. The professional piercer passes a hollow, sterilized gauge needle through the auricle and inserts the jewelry. Use of a piercing gun is generally avoided since it may not be hygienic. 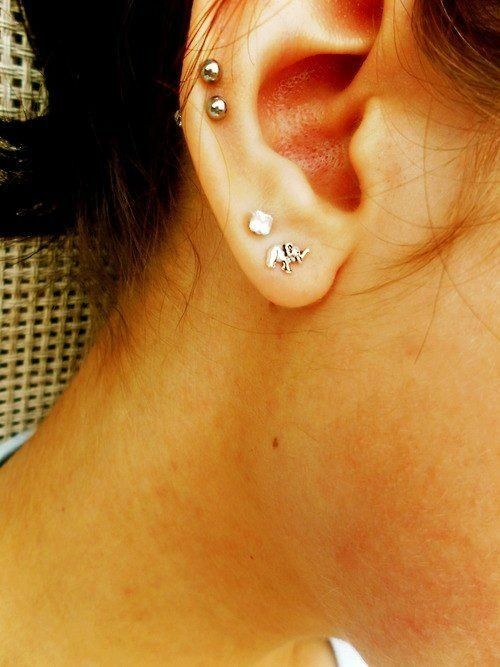 Since it is a cartilage piercing, those with a low tolerance for pain get hurt. 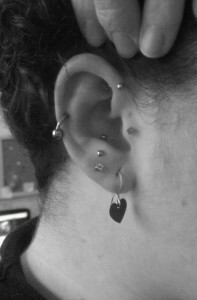 However, it all depends on the expertise of the piercing artist carrying out the process. While in most cases bleeding, bruising, soreness and swelling near the pierced site, it disappears in a week or two. It will take 3 to 9 months for complete healing. Lack of proper care can infect the piercing resulting in the formation of an abscess along with some pus discharge. Timely treatment of the infection is advisable to prevent severe complications. Since there is a risk of jewelry rejection, visit the piercing salon if you experience constant irritation, pain, and itching near the piercing spot. You have a wide range of options when it comes to selection of jewelry for this style of piercing that include labret studs, ball closure rings, barbells, segment rings, and horseshoe rings. Once the piercing undergoes complete healing, you can even wear nostril screws for a change. 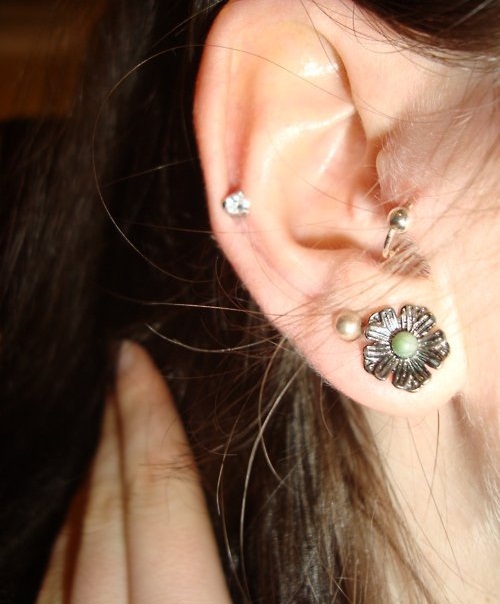 If you are not willing to get an auricle piercing, then go for fake rings, magnetic studs or small ear cuffs. 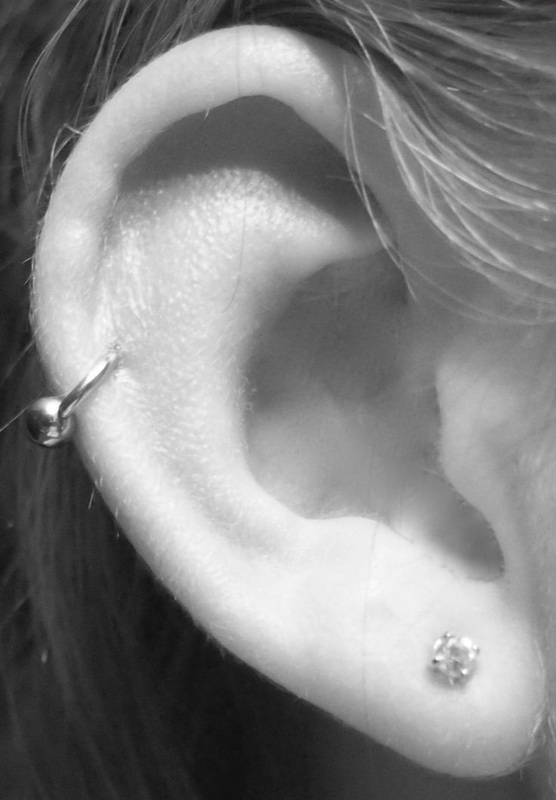 Getting your auricle pierced in a reputable piercing parlor might cost you around $15 to $20. Here, two perforations are placed on the auricle. Since three piercings are done on the auricle, it may take a longer healing time. Make it look prominent by wearing multiple ball rings or spiral rings.